being the case, it occurred to me that something more than a mere descriptive reference to these French modes was required in order to render my scheme complete. I decided, therefore, that it would be in every respect desirable to include here brief illustrated summaries of their chief characteristics. 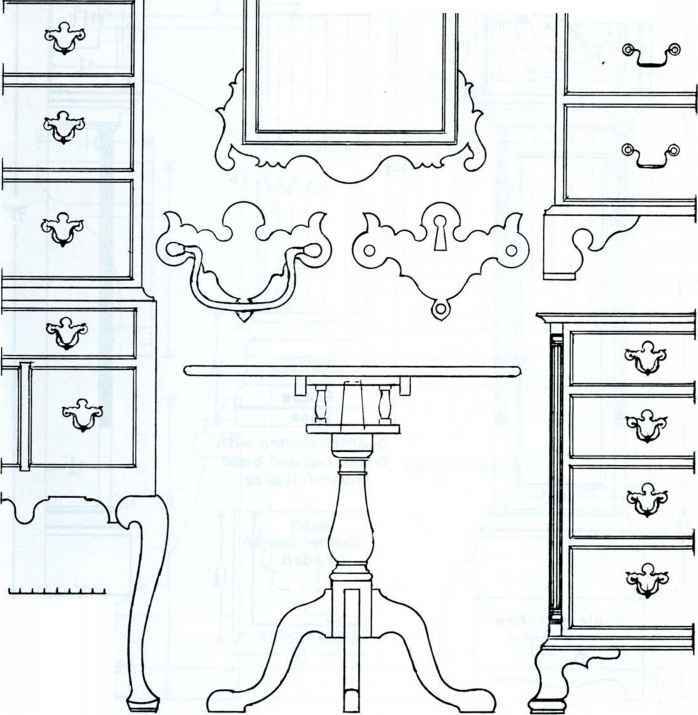 The foregoing explanation is somewhat lengthy, and may savour of " protesting too much"; my only excuse for its appearance must be my great anxiety that the reader should understand clearly that the present treatment of the styles in question has been planned simply and purely in order to place before those who peruse these pages some of the actual models which our old English cabinet makers and designers had in view when they originated the modes since designated by their names. It is, however, desirable, even in so brief a review of the styles as will appear here, to recall to mind certain political r and social conditions under which they developed, and by which they were, in a greater or less degree, influenced. By so doing the presence of many features may be reasonably accounted for, features whose appearance might otherwise be regarded as a mere accident, with the result that their true significance would be ignored. What, then, was the condition of affairs in France when the u Louis-Quatorze" was growing towards its fullest development ? Let us review it as briefly as we can. It must be recognised that, in essaying to give any account of the progress of the arts and crafts which spread from France to other countries during the reign of Louis the Fourteenth—a progress, be it remembered, which was in a great degree directly due to his encouragement, and was fostered by his ministers and the members of his court—the boldest writtr may well be beset with diffidence. The period was one of unsurpassed splendour and extraordinary activity in all departments of artistic endeavour.